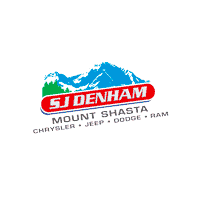 Shopping for an off-road vehicle to tackle the trails in the Mount Shasta area? A new Jeep Wrangler is ready to take on the challenge. With its legendary Jeep 4×4 capability and iconic design, a new Wrangler is rugged and refined, and is a perfect fit with the active lifestyle of Redbluff and Dunsmuir drivers. The Car Connection says that the new Wrangler “manages to improve its abilities both on- and off-road without diluting its go-anywhere, do-anything appeal.” Explore our new Wrangler inventory and schedule a test drive today! Why a New Jeep Wrangler at SJ Denham Chrysler Jeep Dodge Ram? Contact us to learn more about the Jeep Wrangler interior features and available colors, and stop by our showroom near Chico to get behind the wheel of this versatile, go-anywhere SUV today! You can also see how it stacks up to competitors like the Toyota 4Runner.